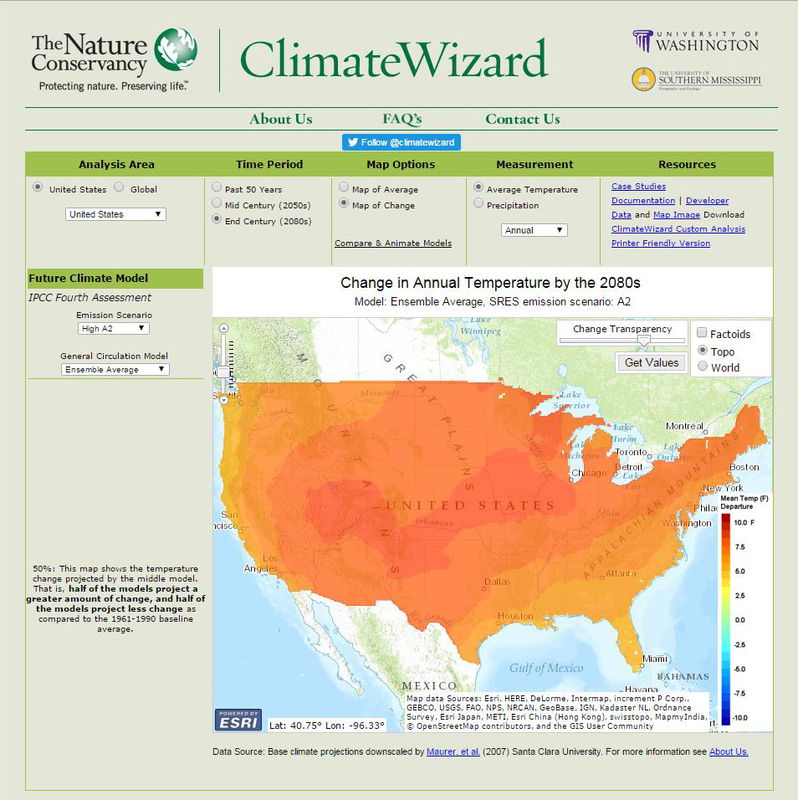 This web-based interactive mapping platform provides access to leading climate change information and the ability to visualize impacts that may occur anywhere on Earth. Pre-calculated map products toggle between climate conditions relating to different greenhouse gas emission scenarios for two future time periods. Examine the statistical variations of 16 different general circulation models used to generate these future climate projections using any combination of general circulation model and emission scenario. 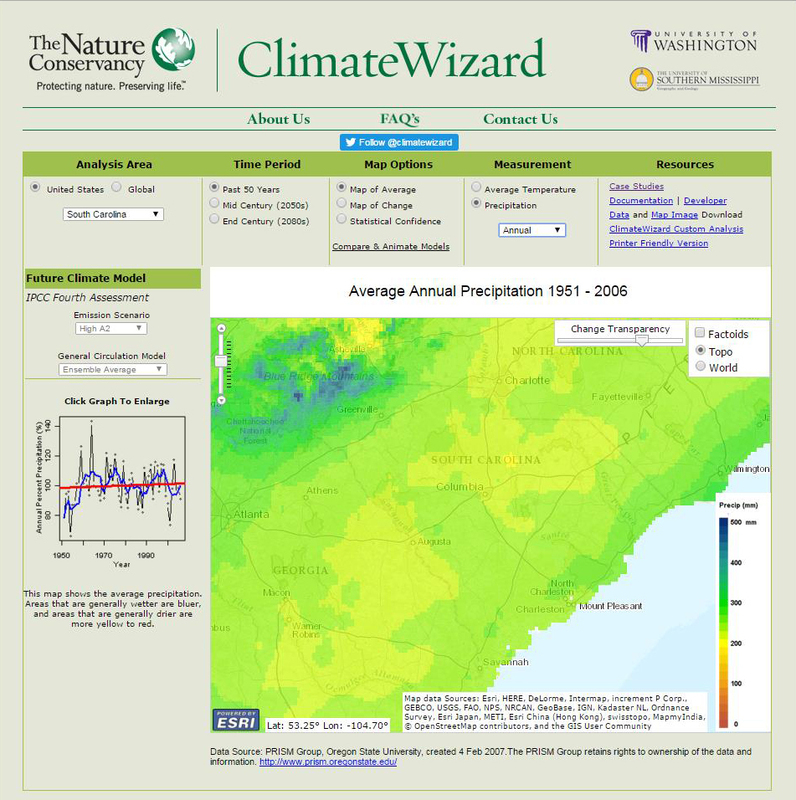 To launch, please visit http://climatewizard.org/.